Last week I went on a trip round the Medieval Merchants House in Southampton with Jude Jones a fellow PhD student with a love of beds! 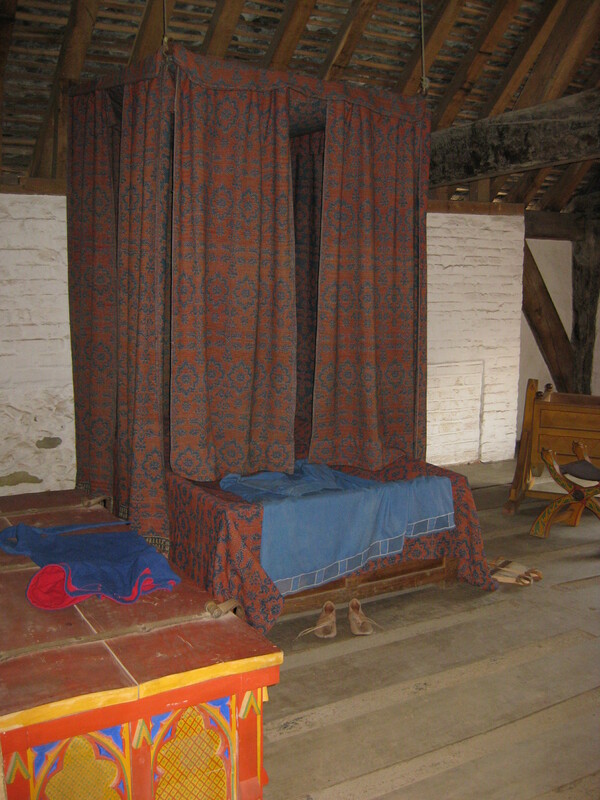 The house has been restored to its mid 14th century apparence and filled with reconstructed furniture of the period. Although a merchants house I found the visit useful to help me visualise filled living spaces. The first thing to note is how, like I found at Dover, there is a limit amount of furniture. Unlike Dover, it was much harder to get photos of entire rooms, this is because the rooms were much smaller. 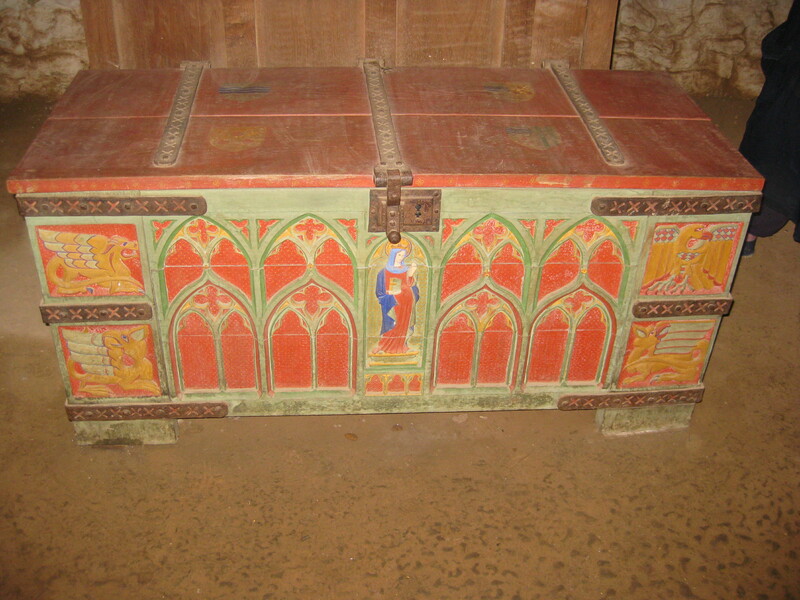 The presence of the furniture was also very helpful, again as at Dover, it was all very gaudy and brightly coloured. But Jude commented on the fact that it was much faded from its original colours (she has been visiting the building for a number of years). Finally the main reason for the visit was to be able to look at the construction of two Hung Beds found in the upstairs bedroom. I was able to see how they appear in a room as well as see how they are put together and covered in textiles. I will hopefully be allowed to return when they put away the beds for the winter, by taking them down and removing all of the textiles as this will allow me to see more about their constrcution.